When I first got the unit, it came in a very well-designed, sleek, black box with baggies of different components. At first impression it looks simple and easy to hook up. But after taking out the computer and looking underneath it seemed like opening up a birthday present and realizing that there was “some assembly required.” At first the setup seemed quite daunting, but after perusing the instructions (highly suggested), the setup was quite easy. Within 15-20 minutes I had everything up and running. After charging the computer to 100% as suggested by the manual. I went out for a ride. The 520 calibrated itself, which was nice considering that my last cycling computer, granted it was under $100, had me doing complex math to get it working. The computer is ANT+ and Bluetooth compatible, which allows it to sync up to other devices like Android and iOS apps and cycling trainers. 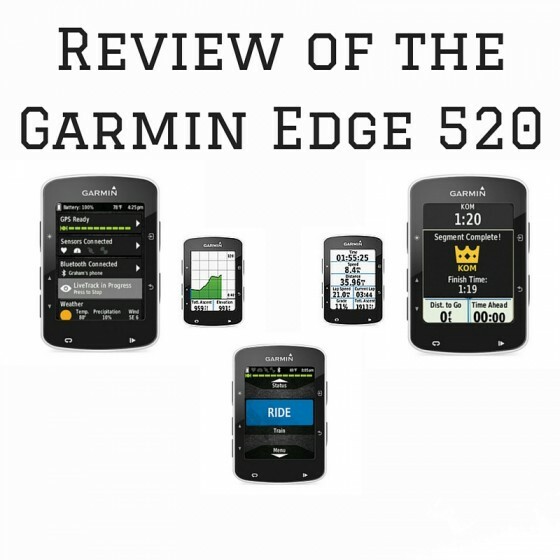 Also the 520 can upload your route and stats to Garmin Connect, their own sports tracking app, and also to Strava, a third party online cycling network. So far, I’m absolutely in love. I miss having a touch screen, which the previous model, the 510 had. Other than that the 520 is a solid, reliable cycling computer.